The Sakhalin Indigenous Minorities Development Plan is a long-term programme founded on the collaboration among the Sakhalin Indigenous Minorities, Sakhalin Energy and the Sakhalin Oblast Administration, producing invaluable experience in embracing new opportunities for developing the potential of the Sakhalin Indigenous Minorities. We have seen on the SIMDP website that our application has been approved in full. The team of the Val medical post are extending thanks to the Social Development Fund Council for assistance in procuring new medical equipment to improve the quality of medical services to rural residents. How can I take part in the mini-grant competition? It is supported under the Social Development Fund Competition Programme. You should submit your proposal to the Social Development Fund Council on the form provided by the deadline found in the Regulations on the Tender Programme. The Regulations are prepared in December along with the programme for the next year. For example, the 2014 Regulations will be written and approved in December 2013, and the tender will open in early 2014. All of the information will be published on the SIMDP programme website under Competition Programmes and Social Development Fund, and in information materials. The Fund Council will then review the proposal and make a decision. Can I take part in SIMDP projects as an individual? Yes, you can submit application(s) for participating in long-term healthcare and education projects, TEASP self-sufficiency projects and the Microcredit Programme. However, to qualify for participation in any projects under the TEASP Programme, you must independently find a non-profit organisation to partner with. The education and healthcare projects will be implemented by the partner organisation selected by the Social Development Fund Council based on the results of the tender. What types of assistance are provided to SIM sports events? This activity is supported under the Social Development Fund Competition Programme. You should submit your proposal to the Social Development Fund Council on the form provided by the deadline found in the Regulations on the Tendering Programme . The Fund Council will then review the project and make a decision. If you believe that the sports development project should become a long-term, priority project and can justify it, please contact the Social Development Fund Council for writing the Regulations on the Social Projects Programme . Can SIMDP funds be used for building a road in a settlement? Unfortunately, the SIMDP does not provide for developing infrastructure in settlements. Besides, the budget for the projects and programmes is too small to fund infrastructure projects. I am a full-time student of a higher education institution outside Sakhalin, and I would like to get assistance in paying for my travel to school and living in the dormitory. Unfortunately, the 2012 educational projects under the Education component have already been implemented in line with the 2012 Regulations on the Long-Term Social Projects Under Education Component. These regulations do not provide compensation for travel or dormitory expenses. Only medical students were given assistance in paying for living in dormitories. The regulations are adopted by the Social Development Fund Council annually and are approved by the SIMDP Governing Board/Executive Committee. Any changes to the participation rules will be posted on the SIMDP website by January 2013. How can I receive a loan under the SIMDP? How can I get involved in the Traditional Economic Activities Support Programme? The Programme Regulations explain how to take part in the Traditional Economic Activities Support Programme(hereinafter referred to as the TEASP). They are developed by the TEASP Committee and approved by the SIMDP Governing Board/Executive Committee annually. The TEASP project tender will open at the beginning of the year. What is the time period for applying to participate in the SIMDP? The timetable for the SIMDP programmes (the TEASP and the Social Development Programmes) is set out in the regulations which are approved by the SIMDP Governing Board/Executive Committee at the end of each year. The regulations are posted on the website after they are approved. The tenders normally start in January and February, and their closing dates are also stated in the regulations. For example, in 2012 the Continuity tendering programme opened on 16 January, applications were accepted until 01 March, and the list of winning candidates was issued on 02-03 April. What are the areas that are covered by the SIMDP? Social Development Fund(programmes in the areas of education, healthcare, preservation and study of the languages of indigenous minorities, preservation of the traditional culture, and development of the potential of indigenous minorities). Traditional Economic Activities Support Programme (programmes in the area of self-sufficiency, business planning and Microcredit Fund). What is an Expert Group? Expert Groups perform expert evaluation of projects under the Social Development Programme and the Traditional Economic Activities Support Programme. Expert Groups in both areas include representatives of all SIMDP partners as provided in the Regulations on the TEASP Expert Group and the Regulations on the SIMDP Social Development Fund Expert Group for 2011 – 2015. Recommendations issued by the Expert Groups are reviewed at the meetings of the TEASP Committee and the SDF Council. How is selection done for the SIMDP governing bodies? Representatives of the SIMDP governing bodies are selected by the SIMDP partners: the Regional Council of Authorised Representatives of the Sakhalin Indigenous Minorities (hereinafter referred to as the Regional Council), Sakhalin Oblast Government and Sakhalin Energy. 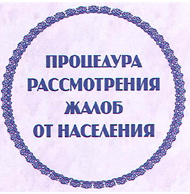 The number of members of the SIMDP governing bodies (the Governing Board, the Executive Committee, the Traditional Economic Activities Support Programme Committee, and the Social Development Fund Council) is set in the Regulations on the Coordinating Bodies within the Management Framework of the Second Sakhalin Indigenous Minorities Development Plan for 2011 – 2015. The Traditional Economic Activities Support Programme Committee and the Fund Council are responsible for the decision-making for the applicable programmes and are comprised solely of representatives from indigenous minorities of the North representing seven districts of traditional residence of SIM. IF you did not find the answer to your question, you can send it to us (send question) or contact the members of the SIMDP governing bodies.